Group counselling is an important part of influencing change and healing. Through the creation of small theme-based groups, children, youth and families/caregivers experience a sense of universality which allows them to see that they are not alone in the challenges they have encountered and their healing journey. 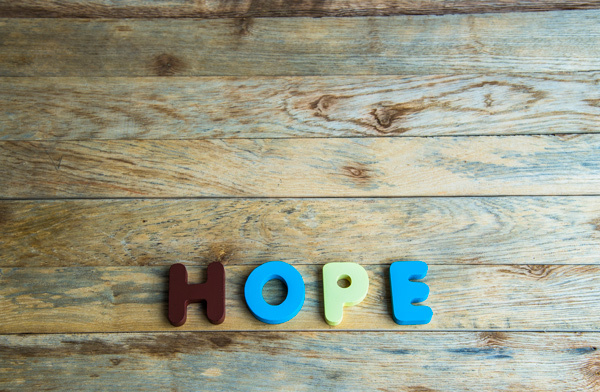 Through this reduction of isolation there is an instillation of hope, which helps create optimism, promoting healthy futures for all involved. The sexual offence-specific group is a 10-week program designed to complement individual counselling provided to youth who have engaged in sexually abusive behaviours. Through the group, youth will develop a greater understanding of high-risk situations, sexual health, victim empathy, relapse prevention and safety planning. Youth will also have an opportunity to engage in discussion of issues such as gender roles, thoughts and feelings that lead to their offending, and internet safety. By the end of the 10 weeks, it is expected that youth will have an increased knowledge of topics discussed in group through feedback from other members, feeling less alone, and an instilment of hope for their sexual futures. Youth will also have opportunities for joint group sessions with the caregiver group, which will provide them with additional perspectives on the issue of sexual offending as well as create opportunities for greater therapeutic work with their families in an individual context. The group for parents/caregivers of male youth who have sexually abusive behaviour is a 10-week group designed to complement the sexual offence specific counselling that youth are engaging in. 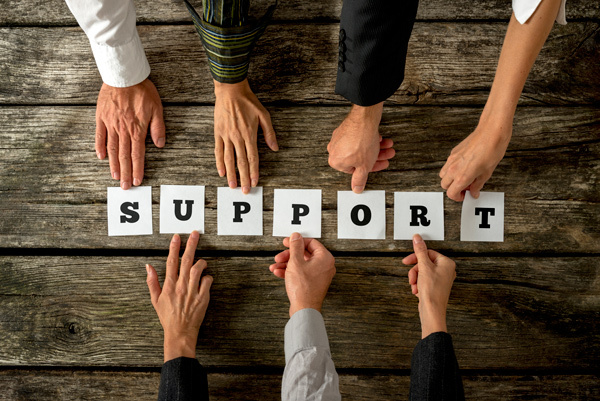 Through this group, parents/caregivers will develop a greater understanding of how best to support their youth, their families, and themselves in moving forward after sexual offending has occurred. Parents/Caregivers are provided with information on high-risk situations, sexual health, risk evaluation, and how counselling aims to help their youth develop the skills needed to have healthy sexual futures. Parents/Caregivers are also engaged in discussions and encouraged to learn and connect with the other parents/caregivers in the group. Joint sessions with the group for youth who have sexually offended are also integral to the program. This component provides them with an additional perspective on sexual offending as well as creates opportunities for greater therapeutic work with their families. Parents/caregivers whose youth are in the group and parents/caregivers whose youth are not are equally welcomed to the joint sessions and will benefit from the opportunity to connect with youth who have sexually offended in a therapeutic context. It is hoped that through group, the parents/caregivers will experience increased feelings of confidence and capacity to support their youth in counselling. The group also aims to reduce the feelings of isolation, shame, and guilt that are common in families where sexual offending has happened. The healing process that occurs through creative expression has been embraced across many cultures, worldwide, over the past several centuries. Such practices have been known to have no bounds, transcending both language and culture, providing an outlet where individuals can start to make sense of the chaos they have experienced as a result of their traumatic experiences. The expressive arts provide a visual voice to experiences, emotions, and thoughts that have, for so many, previously been silenced. 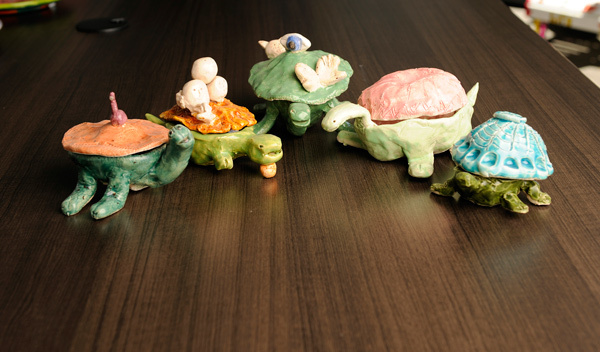 Radius Child and Youth Services works with The Toronto Art Therapy Institute and the Gardiner Museum of Ceramics Arts to offer children and youth an art therapy based approach to healing from the impacts of sexual abuse. Participants create sculptures and share their personal narratives as a way of supporting the therapeutic process, while at the same time educating the public about the impacts of sexual abuse through a public exhibit. This is a 12-week group that is offered at the Gardiner Museum of Ceramic Arts.